I always like to challenge myself. 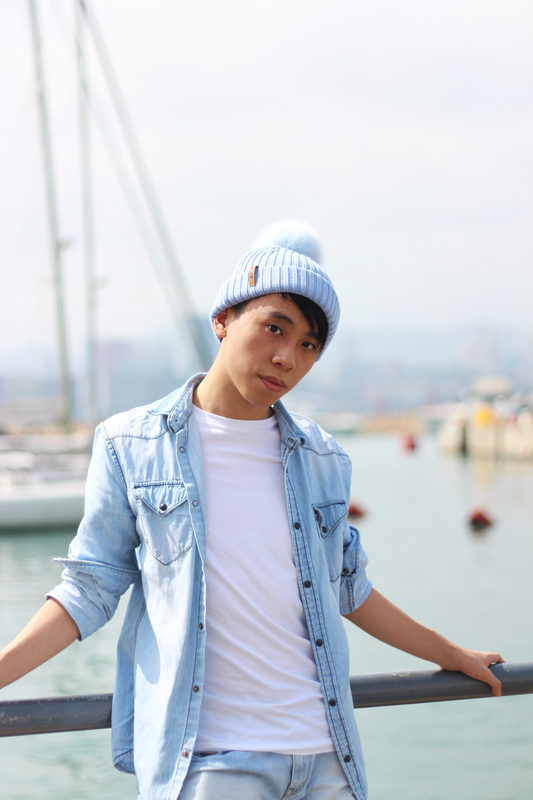 This time, I'm trying to style winter items (e.g beanies) on summer outfits. It's also a perfect time for me to style those items now. Since the weather in Hong Kong like early summer/late spring, it's still not that "hot". Therefore, I wore this baby blue hat from bklyn.co.uk. This is one of the best hat ever! It only took two days for the hat to arrive home by the delivery methods DHL. They also provide a very good customer services. They have a very high efficiency. They replied my email almost within an hour! One of the best method to style winter items on summer outfits it to wear beanies. Wearing beanies on summer outfits is the best accessories and it will not look strange when you wear them. It's fashionable and unique as the same time. 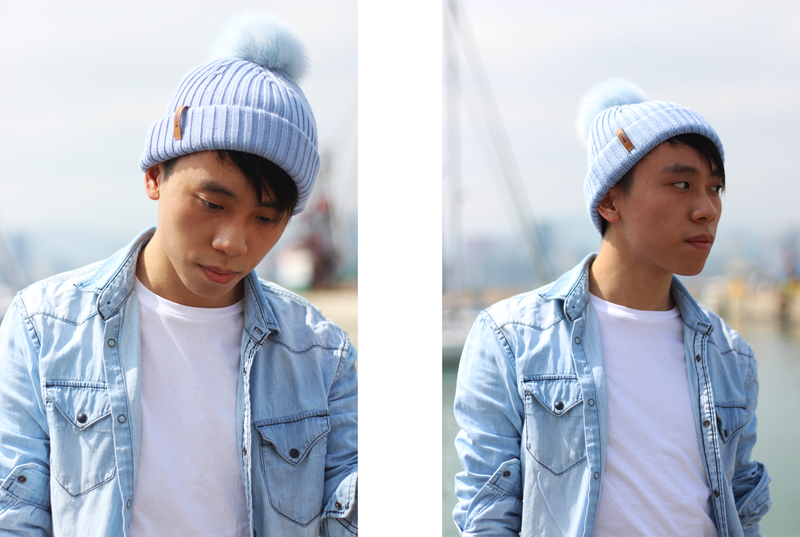 I styled the beanies with denim on denim that were baby blue in colour because light colour is definitely a summer trend. You can see how I style beanies on the photos above. Not gonna lie, I'm very satisfied with the baby blue hat from bklyn.co.uk. Mostly because of the high quality of the hat. They are made of finest Italian merino wool. That's the reason why the hat is very soft! I'm very comfortable when I wore it outside. One very unique feature of the hat is you can change the fur of the hat! They provided me with the fur with baby blue (you can see it from the photos above) and brown in colour. You can change it if you want to suit the outfits that you wear. For more information about the hat, click here. Amazing style . This is so effortless and perfect . I live in a country where it's forever summer, and I absolutely love wearing beanies with my outfits. They're effortless ways to look cool in the summer, and I love your take on it. The colour palette is lovely, Daniel! Love your review and the way you styled your outfit. As always, you look awesome! I think you've styled this really well. Love it. Obsessed with the powder blue and ripped denim! How awesome is that hat?! I love that you can switch out the pom pom, indeed unique! 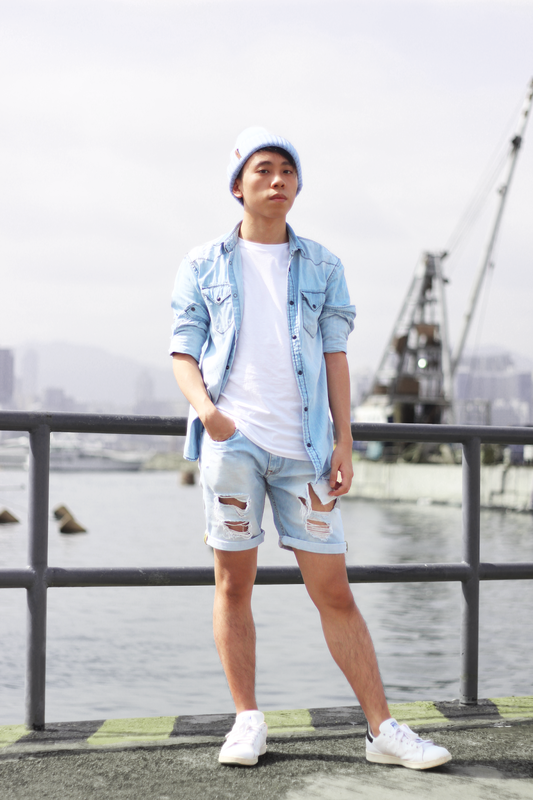 I love the the baby blue color you selected, it looks great paired with your denim-on-denim look! Thank so much for sharing and I hope you have a great week ahead! 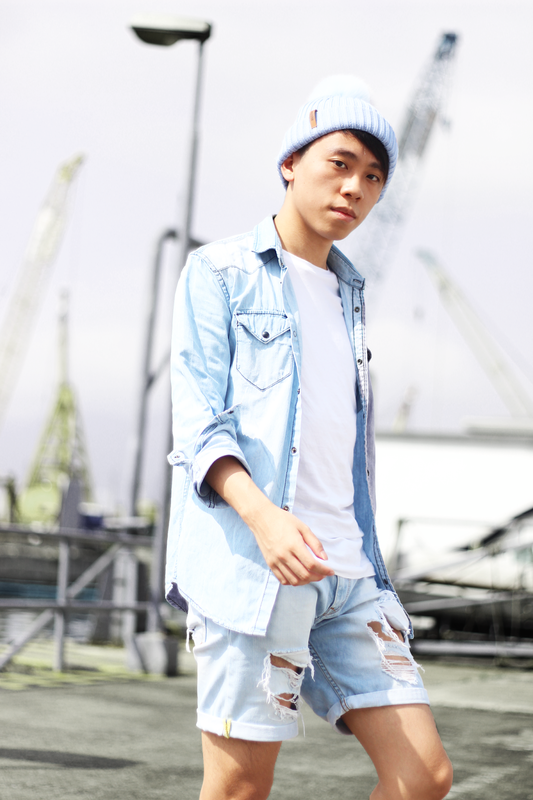 Nice blog!I love denim on denim! I love your style! It's so cool & fresh. The soft blue works so well with your white tee. I really like your style! You always look so cool and strong. Love these jeans. Really loving your style Daniel! Hope you have a great week!! 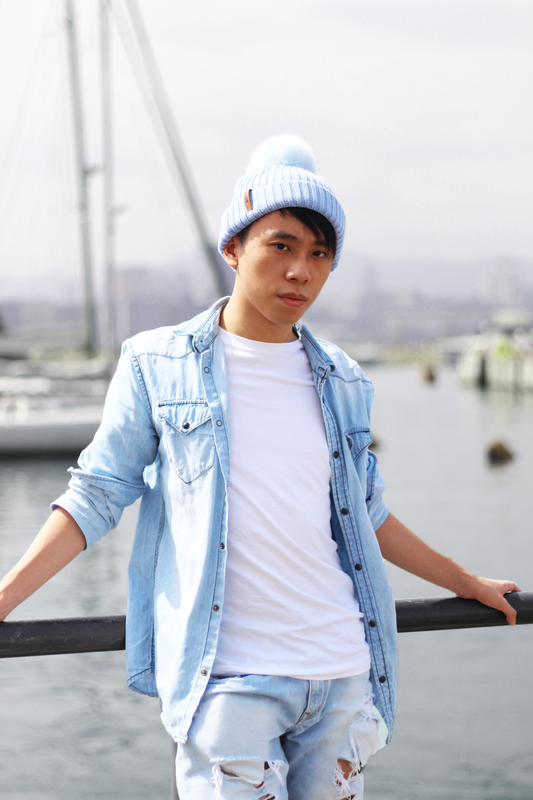 I always love the way you rock denim; the beanie is a perfect addition! Awesome casual look. Such a cool style you have! I love it. This is such a great post idea! It's always nice to be able to recycle seasonal favorites. You are rocking this head-to-toe blue look! Daniel you always do nice combinations! Very stylish! Thanks for your wishes and kisses! I totally love this soft colored look on you, Daniel. Perfect! Love the colour of baby blue!! Also contemplating on purchasing a pair of your shoes, kinda falling in love with them right now! Anyways, thank you for the kind comment on my blog, always trying to return the support! Very clever ways to bring in touches of winter. The monochromatic styling definitely helps!!! Great photos! I never would have guessed but you pulled this one off! 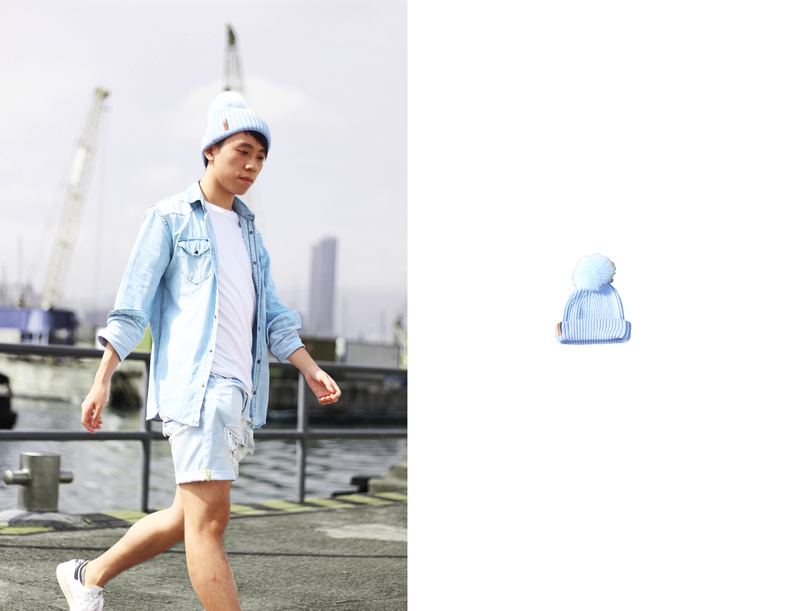 Loving the baby blue color of the beanie!! such a cool beanie, love this look! Cool look! Excited for your next post! I love this idea, as I often miss winter a little because of the cool items I used to accessorise with. I once saw a girl style a black beanie with a black mesh partly over her face at Fashion Week. I thought she looked incredible. I have wanted to try since... Who knows? Maybe I will this summer. :) Great post!